This story was co-published with ProPublica magazine. In an unusually emotional decision, a copy of which was recently obtained by ProPublica, immigration judge Thomas Mulligan wrote that he was “very sympathetic” to Henry and found the 19-year-old’s testimony “truthful.” Nevertheless, Mulligan ruled that he had no choice but to deport him under U.S. and international law, because Henry had admitted to participating, albeit under duress, in two MS-13 murders when he was 12 years old, and because his chances of being tortured in El Salvador were less than 50 percent. 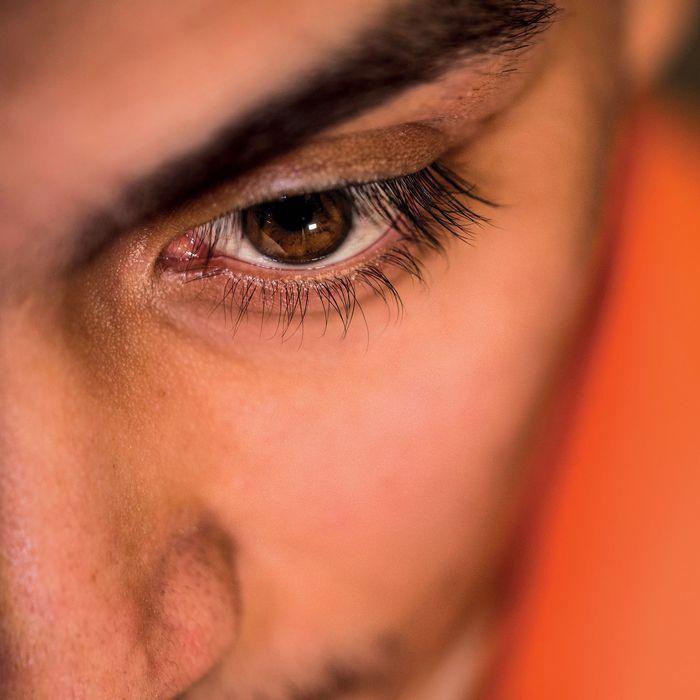 His deportation illustrates how hard it has become for immigrants fleeing MS-13 to find asylum in the U.S., even if they have shown a commitment to helping law enforcement. A new Trump administration directive that immigrants targeted by gangs should not be granted special status has increased the odds against them. Run by the U.S. Department of Justice, immigration courts are required to follow its guidance. Issued in June 2018, while Henry was in detention, this guidance “flavors the whole ruling” in his case, said Lenni Benson, who teaches immigration law at New York Law School and reviewed Mulligan’s decision. Henry, whose last name is being withheld for his safety, was raised by his grandmother in El Salvador after his parents moved to the U.S. when he was a small child. He was recruited into MS-13, which enlisted him on the condition that he kill a rival gang member. Henry held a gun while an older MS-13 member put his hand over Henry’s and pulled the trigger. Soon after, he helped kill a man with a machete, on the instructions of a gang leader who threatened to kill him if he didn’t obey. “He was pressured into killing two individuals when he was only twelve years old and was forced to witness many other forms of violence and cruelty that would be extremely traumatizing for any human being,” Mulligan wrote. Henry vowed to break with the gang and came to live with his mother on Long Island when he was 15. But there were MS-13 members on Long Island, too. They recognized Henry and reminded him that gang membership is binding until death. Fearing for his life, he rejoined. In desperation, Henry wrote a letter to his English teacher, describing his gang history, his constant fear, and his yearning for a fresh start. A school-based police officer introduced him to Angel Rivera, a Suffolk County homicide detective assigned to the FBI’s Long Island Gang Task Force. Believing authorities would help him start a new life. Henry provided information about other MS-13 members. Despite Henry’s cooperation, police turned his file over to Immigration and Customs Enforcement. ICE detained him, identified him in a document as an informant, and jailed him alongside those he informed on. The Department of Homeland Security’s Office of Civil Rights and Civil Liberties is conducting an ongoing investigation into ICE’s treatment of Henry. Mulligan criticized Rivera, the FBI task force detective, for “mistakenly” assuring Henry that he would help him. “This was poor police work and misled” Henry, he wrote. At the hearing, Rivera said Henry had indeed been trying to leave the gang, but the information he gave was not very useful. Rivera did not respond to requests for comment. Asylum hearings often take less than an hour, but Henry’s lasted for six sessions over seven months. School police officer George Politis testified that if MS-13 found out what Henry had done, “I do believe he would be killed.” Henry’s English teacher and a school administrator testified that he had sought their help. ICE portrayed Henry as a danger to the community who was only pretending to cooperate with law enforcement. Under questioning by an ICE lawyer, Henry testified at length about a dozen murders he witnessed in El Salvador, including one person being fed alive into a wood chipper. He described watching the gang torture a member turned informant by pulling out his fingernails. “He started screaming for us to kill him, because the pain was too much,” Henry said in a whisper in the courtroom. Mulligan was unconvinced by ICE’s arguments. He found Henry “generally credible” and his desire to leave the gang “believable.” However, he said that under U.S. law, a person who has committed a serious crime cannot receive asylum, and so Henry was disqualified by the two murders in El Salvador. Henry had also asked to stay in this country under the 1987 United Nations Convention Against Torture. The treaty, which the U.S. has signed, bars deporting people who are “more likely than not” to be tortured if they returned home. Mulligan said Henry’s fears of being tortured in El Salvador by MS-13 or police death squads were understandable. Still, he said, the Salvadoran government is making progress against gangs and extrajudicial killings, and so Henry did not prove the probability of torture. After the judge ruled against him, Henry had to decide whether to accept deportation. Immigration law experts said that an appeal might well have succeeded. “It’s unusual to see that level of sympathy expressed while also denying everything. I would be very optimistic about that appeal,” said Heather Axford, supervising staff attorney at Central American Legal Assistance. Axford said she has gotten several similar cases reversed in federal courts. Henry’s family encouraged him to stay and fight, because they worried that his return to El Salvador would endanger not only himself but his relatives, since MS-13 has been known to target families who shelter snitches. But an appeal would have taken years, and Henry felt his life was at risk in his New Jersey detention center. He said gang members detained there were becoming increasingly adamant that they knew he was an informant, and a friend on Long Island and relatives in El Salvador had received threats. Henry’s health was also deteriorating. In the gang, his nickname had been “Triste,” Spanish for “sad.” In recent months, the jail guards gave him a new nickname — “Skinny.” Two of his asylum hearings were postponed because he was ill. Henry took up yoga to try to deal with his mounting anxiety and worked a night shift in the jail kitchen because he was afraid to sleep in the dark with gang members around him. In the end, Henry accepted the ruling, and on January 10, he was deported. His lawyer, Bryan Johnson, arranged for a team to meet him at the airport in El Salvador and get him to Europe. “Henry ended up a refugee of both El Salvador and the United States,” Johnson said. Out of concern for Henry’s safety, we’ve held this story until he left El Salvador.